The event “A summer night with Hansik” has taken place on the 26th of July in the beautiful location of Casa Lago in Milan (www.lago.it). 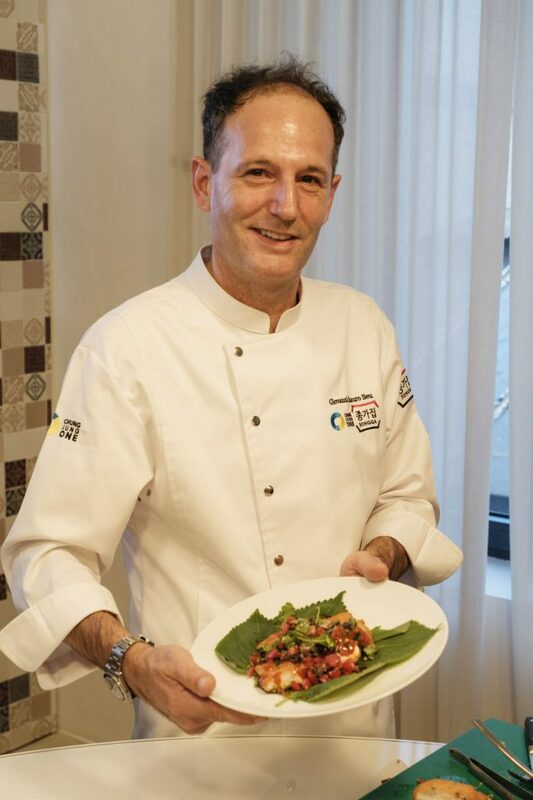 The event was organized by Korean food foundation (www.hansik.org) and by the Korean Ministry of Agriculture to bring together the Italian and Korean cuisines through a show cooking and tasting of fusion dishes prepared by two skilled chefs. 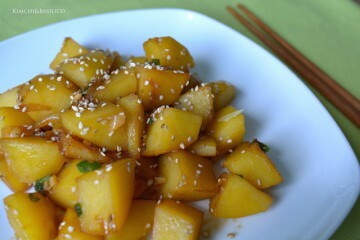 Interest towards Korean food is growing in Italy in the last few years. Korean ingredients such as kimchi, sauces (gochujang and dwenjang) and natural fermentation process of Korean food are becoming more and more familiar to Italian people. 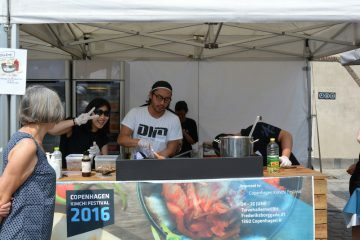 Thanks to events like “A summer night with Hansik” people have the chance to taste Korean food and learn more about its healthy characteristics. 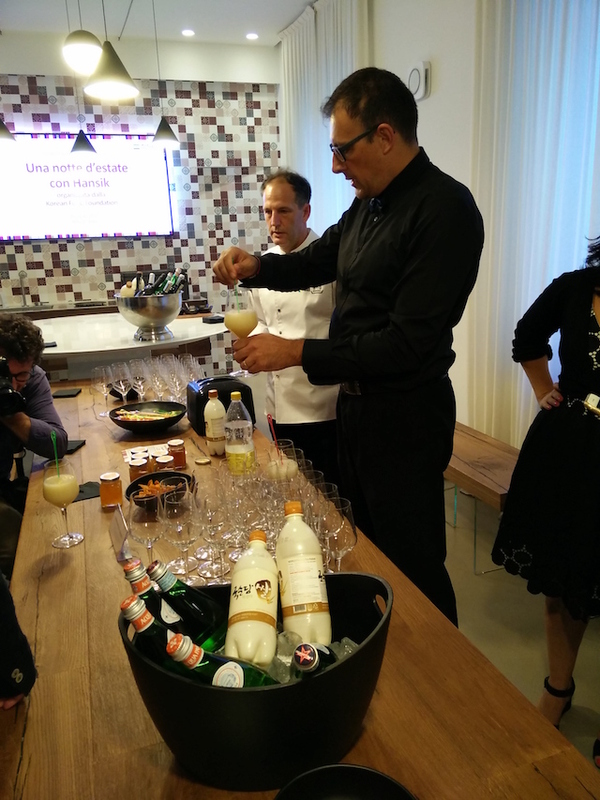 Chefs, bloggers and food entrepreneurs joined the event: an occasion for experiencing Korean food prepared by two great chefs in an elegant atmosphere. First an aperitif with a cocktail prepared by mixing Makgeolli (fermented rice wine) and citrus jam, accompanied by dried kaki(Gotgam – 곶감). 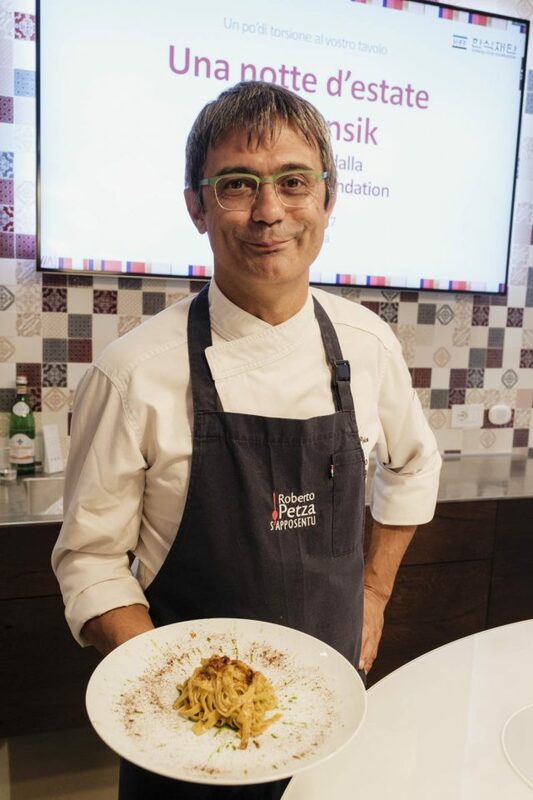 The menu included two fusion main dishes and a dessert that combined traditional Korean ingredients with common ones of Italian cuisine like fresh pasta and cheese. Chef Roberto Petza of the S’apposentu restaurant (one Michelin star) prepared fresh pasta (tagliolini) with gochujang sauce – a revisited classic of Italian cuisine aglio e olio pasta (oil, garlic and chili pasta) using gochujang that gave a deeper and more complex taste to the natural spiceness of chili. For the second course, chef Mauro Seu, who lives in Korea for years and has a great international experience, prepared a delicious chicken breast filled with ricotta, kimchi and spinach. Combining that cheese with kimchi worked very well and made the strong flavor of kimchi milder and ideal for the palates not used to Korean food. Will try this combination in my next recipes! 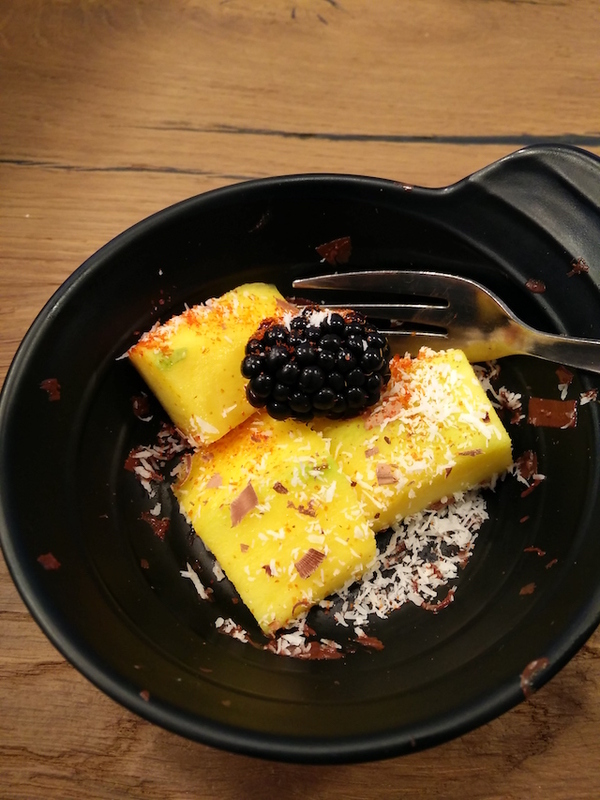 To end the dinner, we were offered a fresh dessert made with mango, coconut and dried gochujang. An explosion of flavors with the right amount of heat. 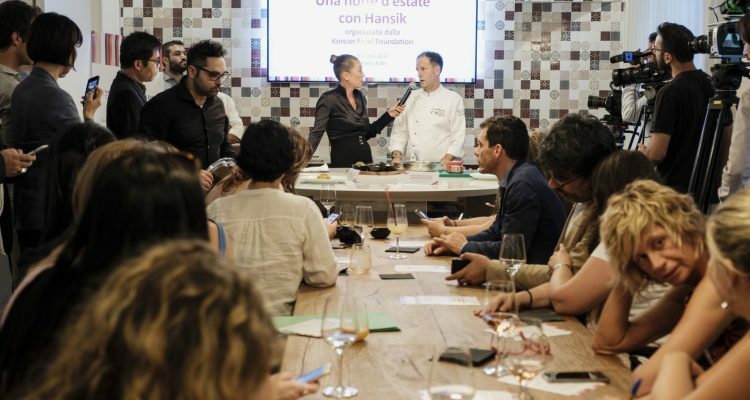 “A summer night with Hansik” was a success and thank to events like this that Italian people can learn more about Korean food. 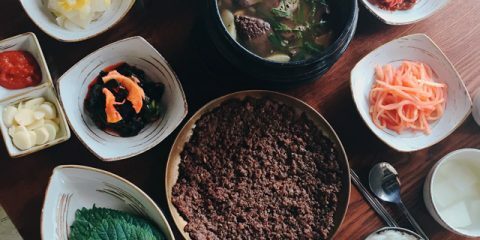 A real “slow food” cuisine that has fresh ingredients and fermentation as two of its main characteristics. During the event the Korean food foundation, and Aspal, the labour agency of Sardinia region of Italy, have signed an agreement of collaboration. The three-years deal will involve chefs and entrepreneurs from both Korea and Sardinia.